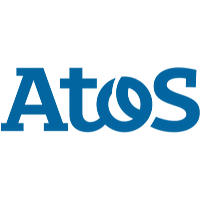 Profile: Atos is a global leader in digital transformation with approximately 100,000 employees in 72 countries and annual revenue of around 12 billion. The European number one in Big Data, Cybersecurity, High Performance Computing and Digital Workplace, The Group provides Cloud services, Infrastructure & Data Management, Business & Platform solutions, as well as transactional services through Worldline, the European leader in the payment industry. Atos is a founding member of the European Technology Platform NESSI (Networked European Software and Services Initiative). Our company is a major partner in Future Internet-related initiatives being member of the FI PPP Steering Board and Industrial Advisory Board. Since 2014, Atos is a founding member of the Big Data Value Association (BDVA), assuming the roles of Vice-presidency and Deputy Secretary-general. We are also member of the 5G PPP Steering Board. Since 2016, Atos is a founding member of the European Cybersecurity Organization (ECSO). Additionally, Atos is member of some cybersecurity initiatives, such as the International Cyber Security Protection Alliance (ICSPA), the Spanish Industrial Cybersecurity Center (CCI) and the Cloud Security Alliance (CSA), European Organisation for Security (EOS), Leaders in Security (LSEC). Finally Atos is a core member of the KIC EIT HEALTH and an official member of the KIC EIT DIGITAL associated node Madrid. At national level, Atos is currently holding the Presidency and Secretary of PLANETIC for ICT, as well as the Vice-presidency of es.Internet for Future Internet technologies, and is member of several others, such as PESI, Logistop, eVIA for Health and Independent Living, NanoMed or the Spanish Railways Technology Platforms (PTFE). Within ARI, the Cybersecurity Laboratory conducts research in trust, security and privacy domains for the improvement of IT security, as well as the increase of trust and dependability in systems and services. Our research areas include among others: cyber security, compliance & policy management, secure software engineering, security in virtualized environments, automated reconfiguration of security and high performance Security Event and Information Management (SIEM) systems. Expertise and Role in CONCORDIA: ATOS will provide input in all WPs and lead tasks T3.5 (Community Building, Support and Incentive Models) and T6.3 (Innovation management). Its technical contribution will span across multiple security areas like cyber security, compliance & policy management, secure software engineering, security in virtualized environments, automated reconfiguration of security and high-performance Security Event and Information Management (SIEM) systems. Also, as partner and founding member of a large number of European Platforms, Associations and Initiatives (NESSI, BDVA, ECSO, ICSPA etc.) ATOS will act as the liaison to share information and expertise with the CONCORDIA project.